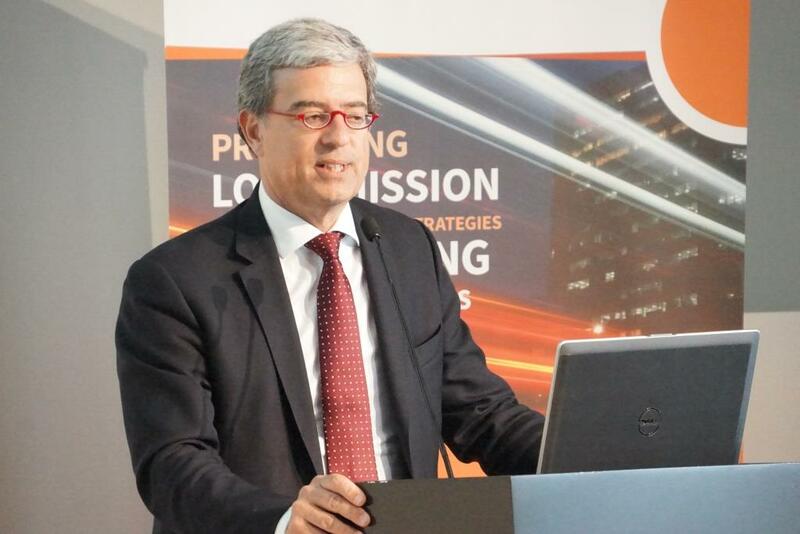 Pedro Pires de Miranda is Corporate Vice President at Siemens AG. Question: In your experience, in what ways do cities and businesses work well together? Pedro Pires de Miranda: First of all, it becomes a topic of leadership from the city. If the city has clear leadership, be it at the Mayoral level or in the urban development area, it really opens dialogue. A company like Siemens – we do so many different things that we need to establish a dialogue to make it a win-win for the city. So our first point is to get an overview of the strategy for that city and the vision for that city – what do the elected Mayors and officials want to do in the city? And we, as technology providers – it is then much easier for us to present solutions and suggestions, and work together with the city officials and also with other partners in the city, be it contractors or others, to have a real impact. So, very important is leadership, clarity, and then we can also be transparent in what we do. Question: What’s your assessment, overall, of development in China, and of urbanization? Do you see urbanization presenting largely challenges or opportunities? Pedro Pires de Miranda: Well, it’s a fact that the urbanization rate in China has been a, let’s say, overwhelming success, if you want to consider the urbanization rates and the growth. Now they have 55% of people living already in cities, which is a tremendous achievement – they came from 20%. So this is a fact. And the fact is, with more people living in cities and migrating to cities in this massive way, you have two problems. First of all is the planning, which has to be much shorter – good planning. And the second thing is implementation. And the Chinese try to do both at the same time. So they plan and execute. So the speed of execution in China is amazing. The level of complexity does not give you the time necessary à la Europe or America. So there is a little bit of the Chinese temple, which the European partners and companies have to adapt, because they are very fast to market, they want things very quickly, because urbanization is also taking place at very unprecedented rates. So a company like ours has to manage the complexity of making it well in a very short time. And this presents a great opportunity, because growth is there, but also a challenge – how to do it and how to do it sustainably. Question: You presented the City Performance Tool that Siemens is developing. Do you think cities are becoming smart quickly enough, or do you think it needs to happen quicker? Pedro Pires de Miranda: I think it’s a question of the baseline. There are cities that are very mature and that have a very extraordinary baseline, also because the citizens are already developing their own – if you take a look at the Scandinavian cities, they are very much into the carbon-neutral direction. And you have other cities in Latin America which are still struggling with transportation systems, and in India with sanitation topics. So the cities are very different, and also the topics of those cities are different, even within the same country. So I would say, for us, we see a huge potential to be smart but at different levels. That means, you cannot be smart if your sanitation and hygiene and healthcare systems are not really properly functioning. And you cannot compare of course London with third-world cities. But it’s very important that with IT – that means, with mobile devices and people knowing more quickly, in terms of information – the demand rate is much higher. That means that if something pops up in Curitiba in Brazil, or in Toronto Canada, it will be known very quickly in Doha, Qatar. So you cannot avoid the information exchange, and so this will bring a very, very high pressure on change. Because people are more informed, they will not accept, for example, air pollution; they will not accept coastal flooding without resilience topics in place. And I think this is the motivation – it’s really the information that is being created through IT and ICT and all that stuff – it makes citizens much brighter, and the pressure on the officials is there. So they really have to connect with this. Otherwise the benchmark is awful, and besides not being reelected, the citizens will not like it.